About Taken at Hook Head on a winters day. Classic landscape photography James. I would love to take such landscape photo. Good one. 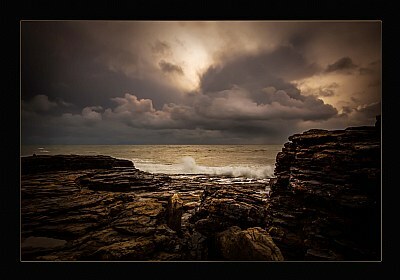 Excellent capture,moody sky colour emphasizes the rugged coast line, with the crashing waves an extra bonus. Stunning and dramatic capture. Wonderful use of lighting. with excellent technique and technical excellence!